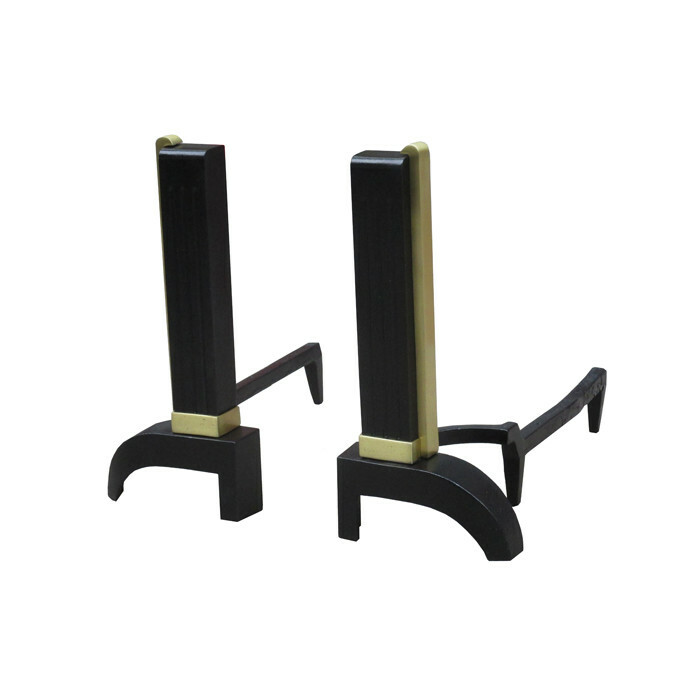 A pair of Art Deco Andirons. Cast Iron and Patinated Brass. Dimensions: H:18 W:8¼ D:19¾ Inches.